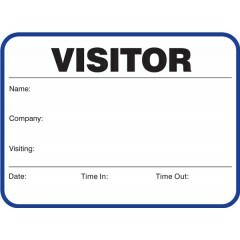 Keep your school safe and keep track of visitors with our visitor label badges and forms. 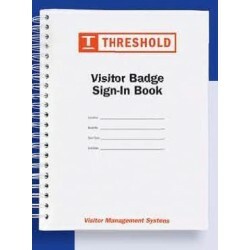 Browse through our wide variety of label badges including loose badges, duplicate badges attached in a wire-bound registry book, duplicate badges with a time-in/time-out stub, and expiring visitor badges. 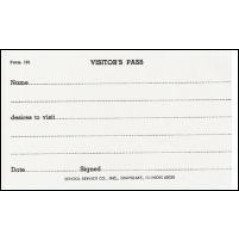 Our padded forms include visitor's passes and sign-in sheets. 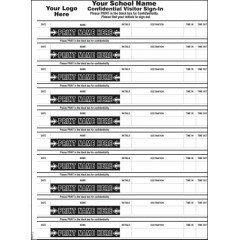 Some of our visitor label badges can be imprinted with your school name, mascot, or school logo! *Only for first-time purchase of the label badges. Discount Save $1.00, Limited time offer, order TODAY! 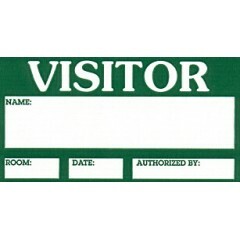 Padded visitor's pass. Size: 3 x&nb..
Stick-on badges for visitors. Size: 2 x 3 1/2 size Type: Stick-on badges Available in: Gree.. Window decal applies to the inside of the window to be read from the outside. 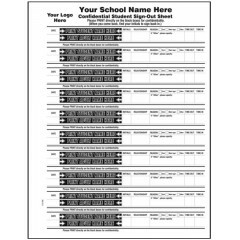 Size: 3 x 5 size ..
Great for visitors or student sign-in! Size: 11 x 8 1/2 size Type: Bond paper padded (note pad.. 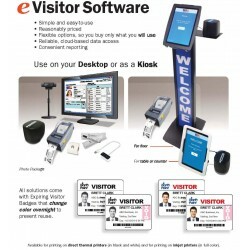 Welcome sign to place next to your visitor badge book. Size: 8 1/2 x 11 size Type: Free standi.. Applies to inside of window to be read from the outside. 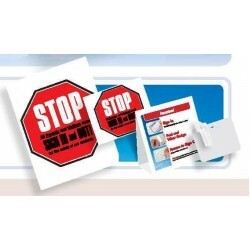 Size: 5 x 6 size Type: Window decal ..
Stick-on badges for visitors. Size: 2 x 3 size Type: Stick-on badges Available in: Red S.. 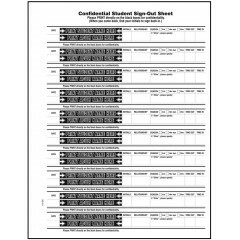 Confidential Student Sign-Out Books - Student Edition Have your Confidential Student Sign-Ou..
Stock - Confidential Student Sign-Out Books - Student Edition Two-part carbonless forms perf.. 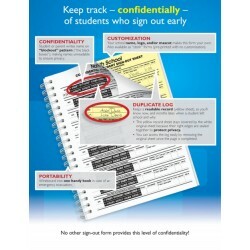 Confidential Student Sign-Out Books - Parent/Guardian Edition Have your Confidential St..
Stock - Confidential Student Sign-Out Books - Parent/Guardian Edition Two-part carbonless fo..
Stock Confidential Student Sign-In Books Two-part carbonless forms perform two jobs in one step -.. 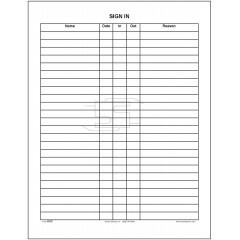 Confidential Visitor Sign-In Books Have your Confidential Visitor Sign-In Books made to order wit..
Stock Confidential Visitor Sign-In Books Two-part carbonless forms perform two jobs in one step -..
Padded visitor pass. Size: 3 x 4 size Type: Bond paper padded (note pad paper) Stock P.. 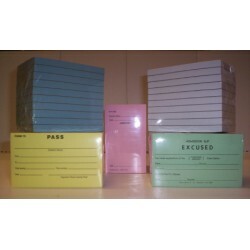 Extra Small Visitor Label Badge Book School Imprint Available 5 Book Minimum Held in .. 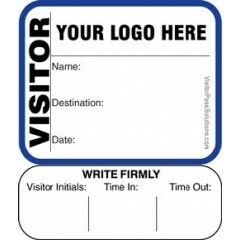 Extra Small Visitor Label Badge Book (675 Badges) School Imprint Available Held in a wi.. 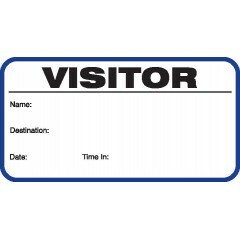 Extra Small Visitor Label Badges with Sign-Out Stub School Imprint Available Held in a .. 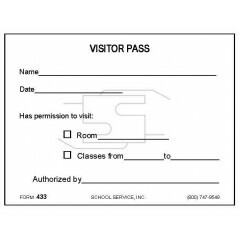 Visitor Pass On-A-Roll Economical solution for schools with a tight budget. 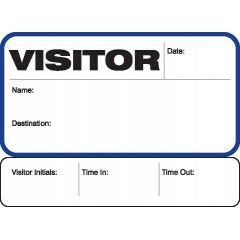 Perfect for Open..
Stock Extra Small Visitor Label Badges Held in a wire-bound registry book. Signing in c..
Stock Extra Small Visitor Label Badge Book (675 Badges) Held in a wire-bound registry boo..
Stock Visitor Label Badges. Held in a wire-bound registry book. 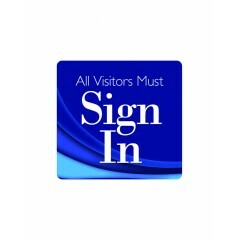 Signing in creates duplicate..
Stock Visitor Label Badges with Sign-Out Stub. 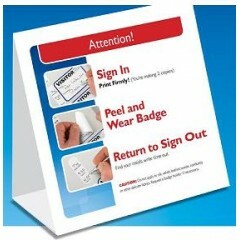 Includes sign out stub that stays in the book a..
Stock Large Visitor Label Badges. Held in a wire-bound registry book. 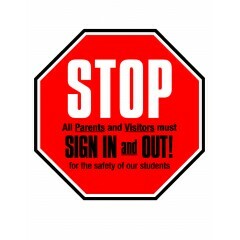 Signing in creates dup..